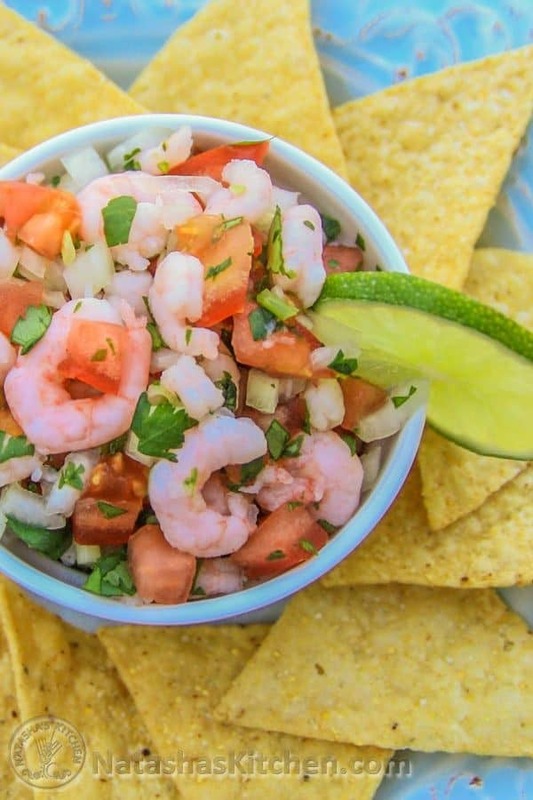 This Mexican Ceviche can be compared to a shrimp salsa. 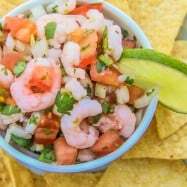 It’s loaded with tomatoes, onion and cilantro. 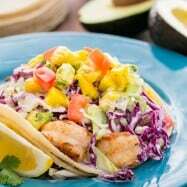 Sprinkle it with hot sauce and serve! 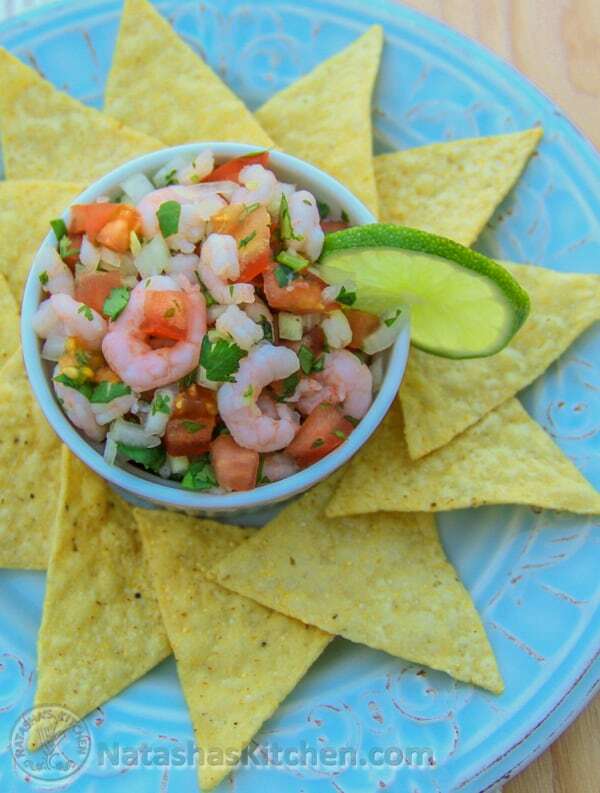 My sister-in-law Zhanna first introduced us to this recipe for shrimp ceviche. 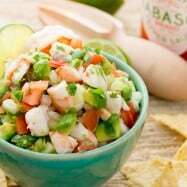 I recently learned that ceviche is made with raw shrimp and it is “cooked” in the acidity of the lime juice. That seems too brave for me and it’s easier to work with pre-cooked shrimp. 1. 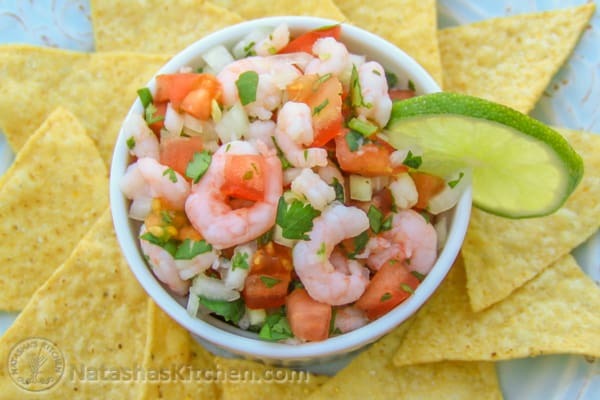 Rinse and thoroughly drain the cook shrimp meat. Squeeze out excess juice with your hands. 2. 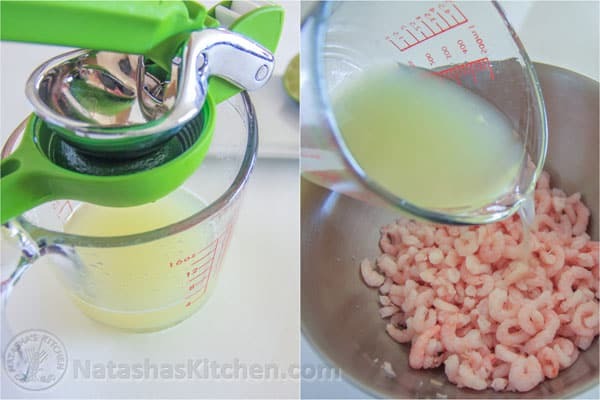 Using this awesome citrus juicer , squeeze the juice from limes after washing them, then combine shrimp and freshly squeezed lime juice. Marinate in fridge for 20 min. 3. In the mean time, dice tomatoes, onion and cilantro. 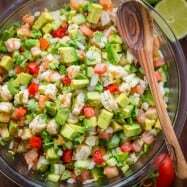 Combine them with marinated shrimp. Mix well. 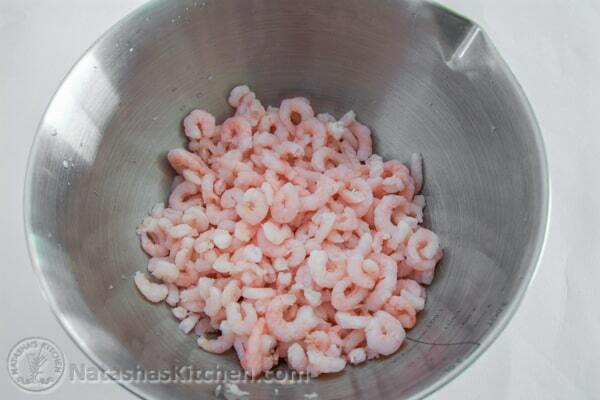 Rinse and thoroughly drain the cook shrimp meat. 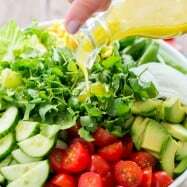 Squeeze out excess juice with your hands. Using citrus juicer, squeeze the juice from limes after washing them. Combine shrimp and freshly squeezed lime juice. Marinate in fridge 20 min. 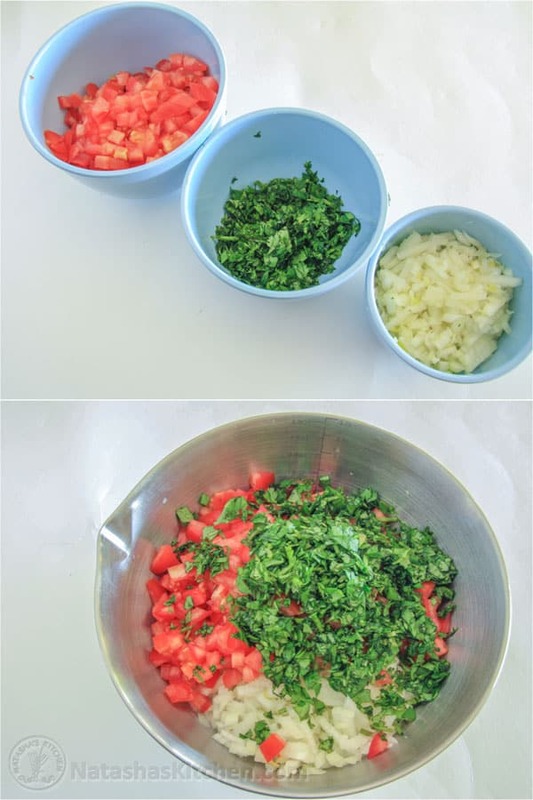 In the mean time, dice tomatoes, onion and cilantro. 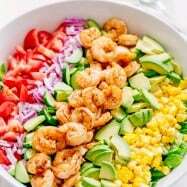 Combine marinated shrimp, and vegetables together. Mix well.